Washington's Gov. Jay Inslee is releasing 12 years of his tax returns and calling on President Donald Trump to do the same. Inslee, who’s running for president, made his announcement Friday morning on the TV show 'Fox and Friends' on the Fox News Network. “Today I am challenging Donald Trump on his favorite show to release his tax returns like I did this morning, 12 years at JayInslee.com," Inslee said. "Look, I want to say it is time for him to come clean with the American people. He’s got to show what he’s been finding and Americans deserve that truth." Trump did not release his tax returns before the 2016 election even though it’s common for presidential candidates to do so. 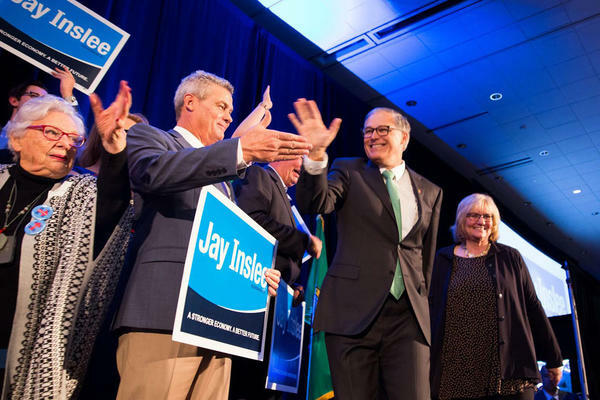 In a statement, Inslee also called on his fellow Democratic candidates for president to release their taxes. Inslee’s 2018 return shows he earned $202,000 from his gubernatorial salary and a congressional pension. He claimed deductions for medical expenses and charitable contributions, among other things. Inslee supports a measure in the Washington Legislature that would require a presidential candidate to release five years of tax returns to appear on the Washington ballot.